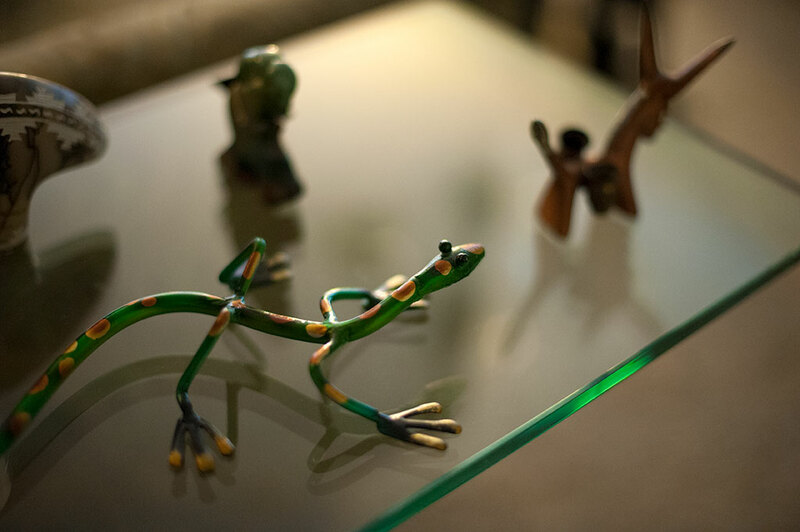 A quiet moment: my wife was asleep and I was doing laundry when I spotted the light being perfect on this metal lizard sculpture on one of our glass end tables. Few lenses could have rendered this image as gracefully as the 50mm f/1.4. 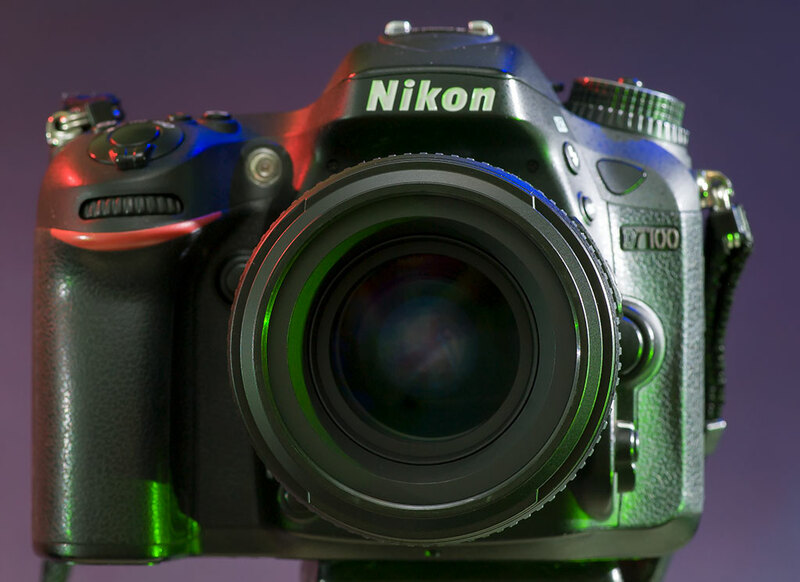 Regardless of the camera format you use, the 50mm lens remains easy to manufacture due to its size in human terms – not so small as to require delicate engineering, and not so large as to require lots of expensive optical glass. When I recommend a prime (non-zoom) lens, one of the first I encourage someone to buy is a 50mm, which is a great choice for a lot of reasons: it’s lightweight, small, affordable, and, above all, offers a large maximum aperture. In a world in which top large-aperture zoom lenses can cost $2500, it’s nice to have an option that might cost a tenth that. It’s easy to see why such a lens would appeal for low-light sports action, kids blowing out birthday candles, and magic moments under the Christmas tree. I grab mine all the time at home, from photos of my lovely wife, our derpy dogs, or the beauty of nature on our little patch of the country. 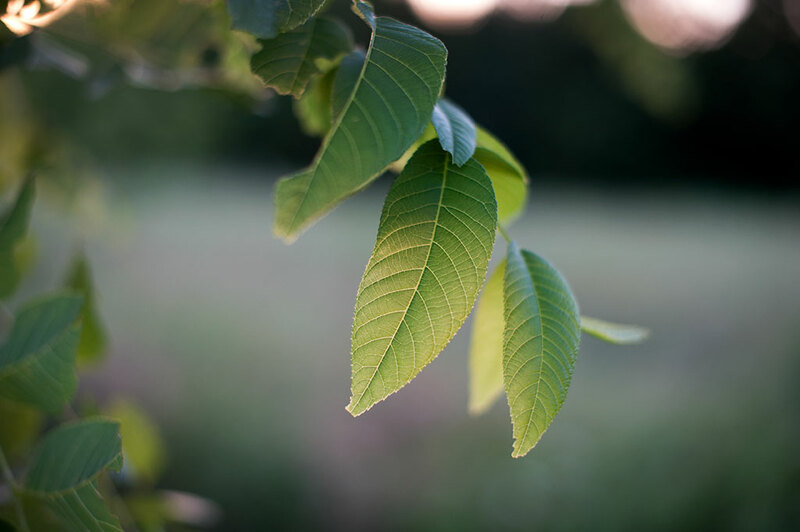 Our black walnut tree takes on the mix of light just at sunset at our home recently. The 50mm f/1.4’s excellent selective focus ability and pleasing bokeh rendered the background as a wash of soft color.